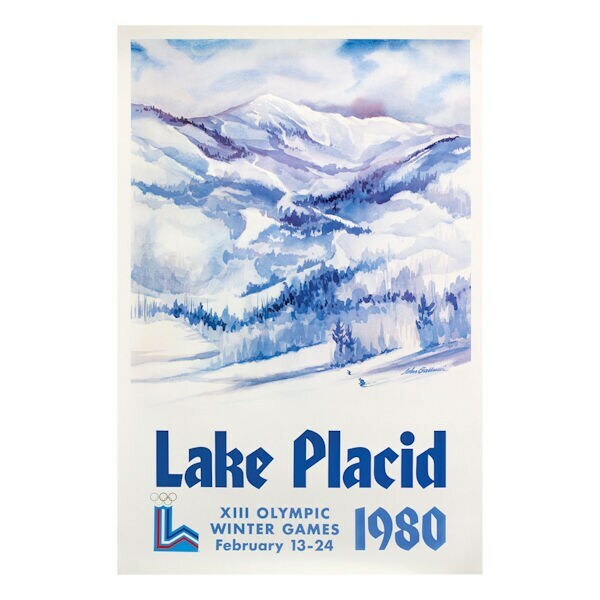 Vintage 1980 Lake Placid XIII Olympic Winter Games Poster - 24" x 35"
The real thing, not a reproduction. Commissioned by the Winter Olympic Organizing Committee, created by American watercolor artist, John Gallucci, this poster dates from the same year and games that brought us the "Miracle on Ice," when the US hockey team—college kids and amateur athletes —beat the top-rated Soviets. 24" x 35 ½". Arrives rolled in a sturdy tube. Certificate of authenticity. Limited quantities.